Six months ago today, I concluded a month devoted to promoting and discussing my first online-exclusive short film. 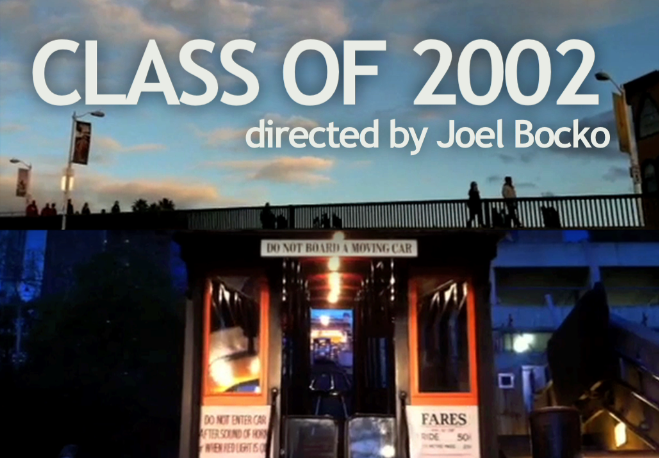 Class of 2002 is a (dramatic rather than comedic) mockumentary in which a young man remembers classmates whose tragic lives intersected his own after high school graduation. Since completing my work on Class of 2002, I've become far more engaged with Twitter and also seen my blog traffic triple and quadruple. It seems a good time to introduce new readers, followers, or drive-bys to my movie. I hope you enjoy it. And if you do, please share it with others - right now, that's the only promotional campaign I have. For more on Class of 2002, explore the round-up of related posts which went up on January 30. The film is also available on Vimeo, if that's your thing.